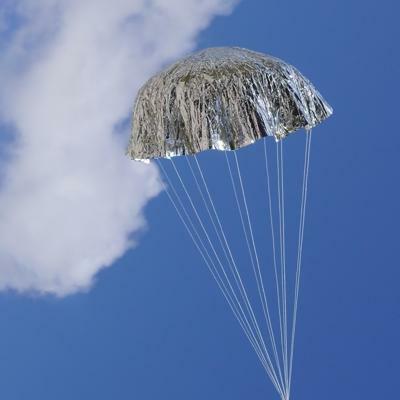 24" Parachute Kit for Competition Model Rockets. Features pre-cut 1/4 mil (0.00024") Aluminized Polyester canopy, pre - cut shroud lines, interlocking snap swivel & complete instructions. Approximate weight 4.25 grams. Construction is required. Thin CA glue is recommended for construction. 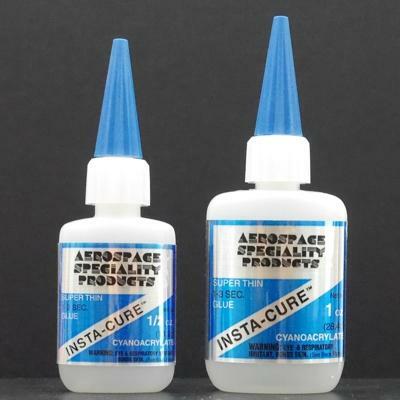 Quick Cure CA Glue - 1 oz. Quick Cure CA Glue - 1/2 oz.